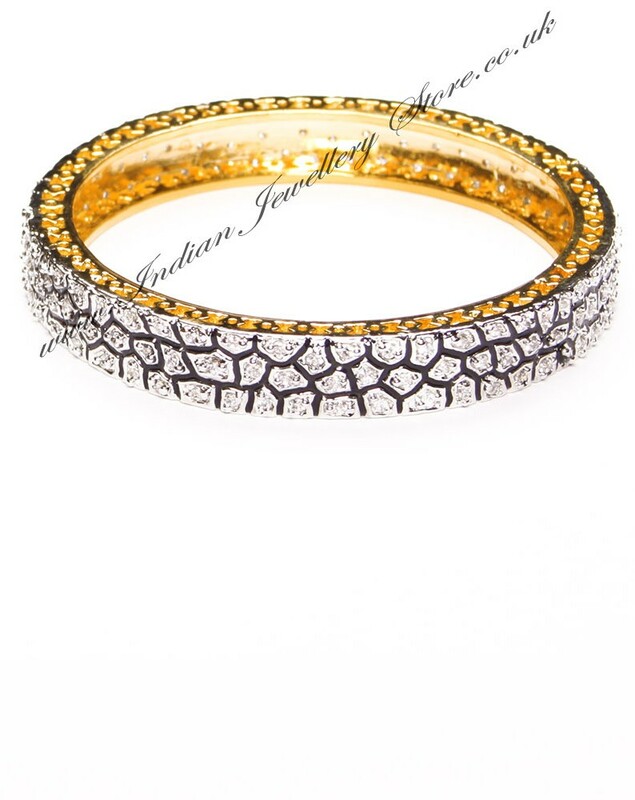 Single rich looing Indian bangles in gold plated with accents of rhodium (white gold) plate, black meena work & clear white. Set with Fine American Diamonds stones. Size: 2.6, i.e 2 & 6/16 inches inner diamerer (medium). Bangle thickness (aprox): 1.0cm. Indian Jewellery Store LOVES this product because of its clean and rich design, which is inspired by bollywood red carpet jewellery. Scale shown in image is in cm.